This year, UFCW locals played a major role in passing legislation that helps working families. 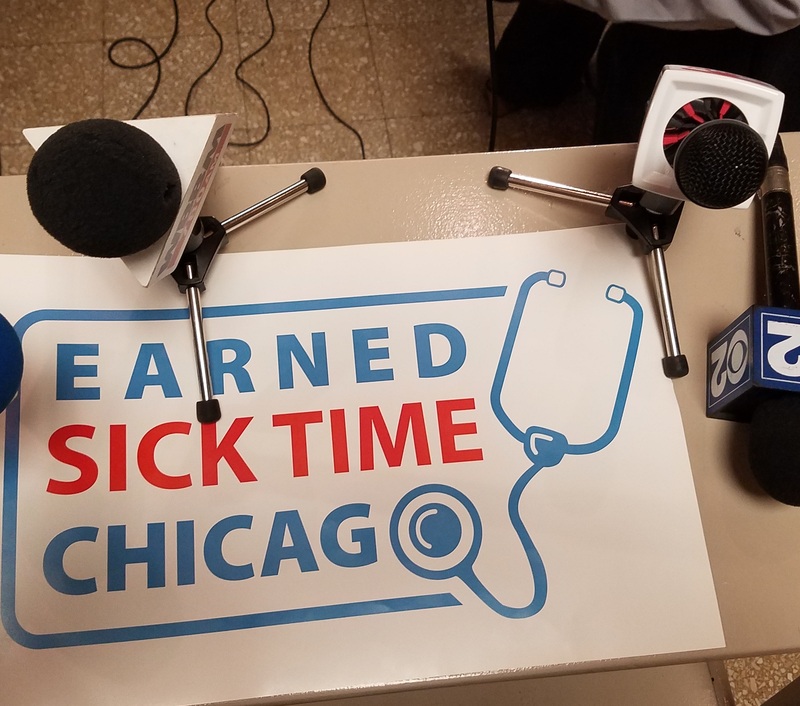 UFCW Local 881 was the founding member of the Earned Sick Time Chicago Coalition, a partnership of community, public health, faith, women’s advocacy, and labor organizations that worked together to raise awareness about this issue. The Earned Sick Leave Ordinance takes effect on July 1, 2017. Also in June, San Diego passed legislation that will immediately increase the minimum wage to $10.50 an hour, and then to $11.50 an hour in January. This bill also provides five days of annual paid sick leave. Members of UFCW Local 135 played an important role in the fight for this legislation, which will help hard-working men, women and their families in the San Diego area and improve public health. This legislation immediately gives a boost to 170,000 workers in the city of San Diego, where many minimum wage employees work two or more jobs to make ends meet. This new minimum wage increase was a long time coming. 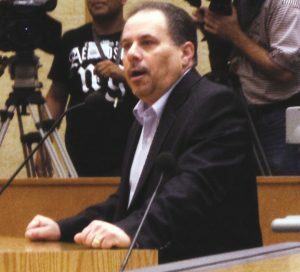 Back in 2014, the San Diego City Council voted in favor of raising the minimum wage. However, shortly thereafter, the mayor vetoed it, the city council overrode it and the San Diego Chamber of Commerce stepped in with petitions for a ballot initiative, which halted raises for the working poor for more than two years. 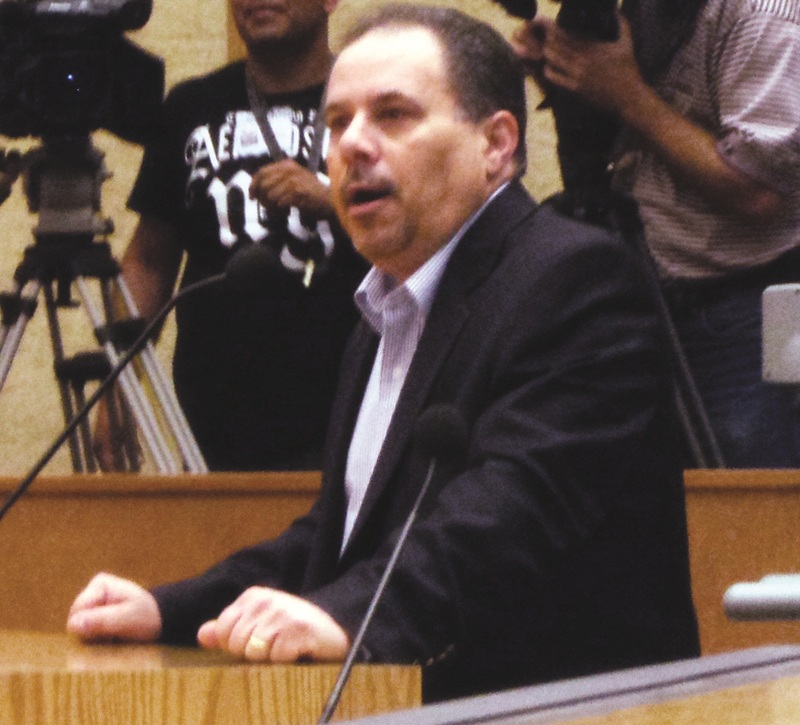 UFCW Local 135 President Mickey Kasparian spoke before the San Diego City Council in favor of raising the minimum wage, and UFCW Local 135 staff phone banked and knocked on doors to get the ballot initiative passed. This victory is the result of an effort, by a diverse coalition led by RaiseUp San Diego, to ensure that no one who works full-time in San Diego is forced to live in poverty. 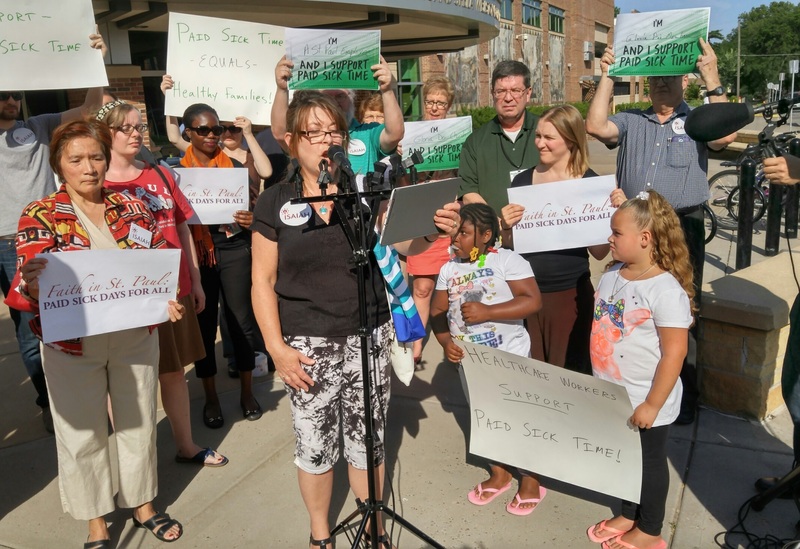 In September, the St. Paul City Council passed the Earned Sick and Safe Time Ordinance by a vote of 7-0, joining Minneapolis and dozens of other cities nationwide that mandate earned sick leave. Members of UFCW Local 1189 played a big role in the passage of this legislation. Also in September, Seattle’s City Council passed a historic Secure Scheduling Ordinance by a vote of 9-0. 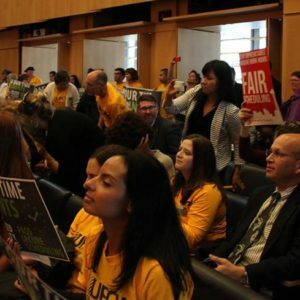 The new scheduling law will require all retail, grocery and food businesses in Seattle with 500 or more employees to provide their employees with their work schedules two weeks in advance and offer existing part-time employees more hours before hiring more workers. The law will also provide workers with a right to request desired shifts, compensation for last minute scheduling changes, and prohibit back-to-back closing and opening shifts. Members of UFCW Local 21 played a big role in the passage of this legislation.